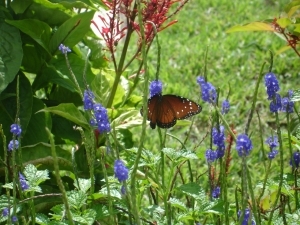 My butterfly gardening mistakes began when I was seven years old growing up in Virginia. I found a caterpillar and put him into a jar, poked some holes in the lid, added some leaves from a Maple Tree, and waited for the magic to happen. Mistake 1: He was the type of caterpillar to turn into a moth, not a butterfly. 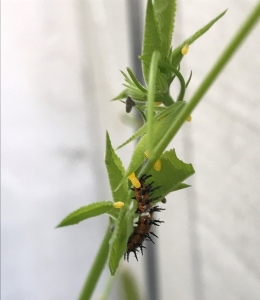 Mistake 2: Caterpillars have very specific food needs and maple leaves were not in his diet. Mistake 3: He would have been better off left outside rather than dying in a jar. 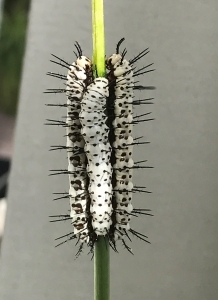 Since then, I learned which caterpillars turn into butterflies and what they need to eat. I also learned which plants feed the butterflies because they need food too. In order to attract the most butterflies, it’s best to have nectar plants for the adults as well as larval food for the caterpillars. 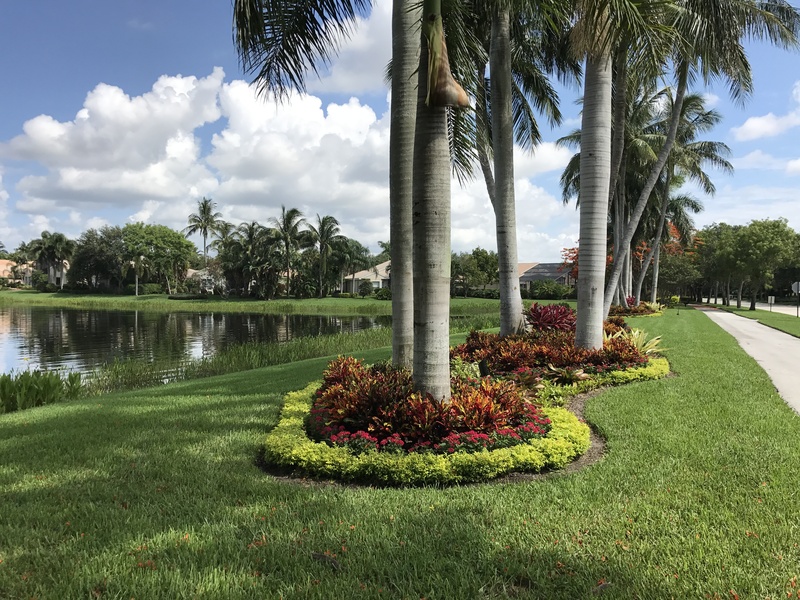 When we have clients in South Florida who request Butterfly Gardens, we usually incorporate the following plants for nectar sources. For caterpillar food, we install the following plants, depending on which butterfly species we are trying to attract. Some of the nectar sources also attract hummingbirds as well as other important pollinators. It always amazes me how quickly the butterflies find the newly installed plants. 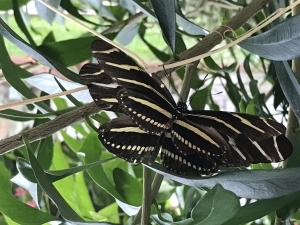 Butterfly gardens add a new level of fun to the landscape, especially for children. 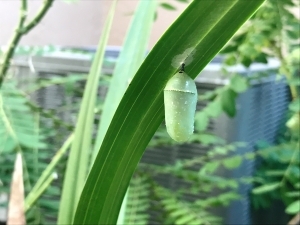 Most people enjoy watching butterflies flutter around, and if you really pay attention, you’ll see them lay eggs and watch the caterpillars grow up, and crawl off to form fascinating chrysalises! If you’re super lucky, you might catch them emerging and drying off their wings and taking flight in search of your nectar food!